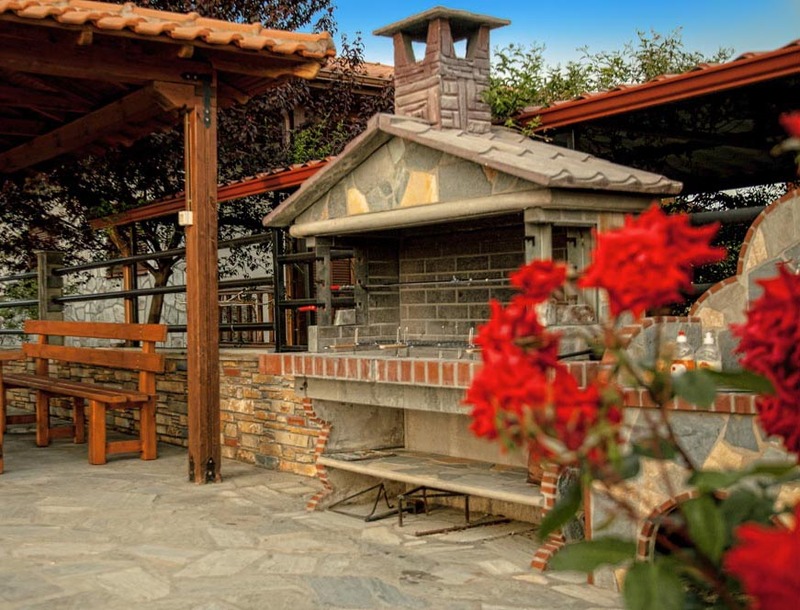 Zois Apartment is two bedroom apartment, located in the heart of Halkidiki, Nikiti. Nikiti is one of the most beautiful and fast growing tourist resorts of Sithonia. 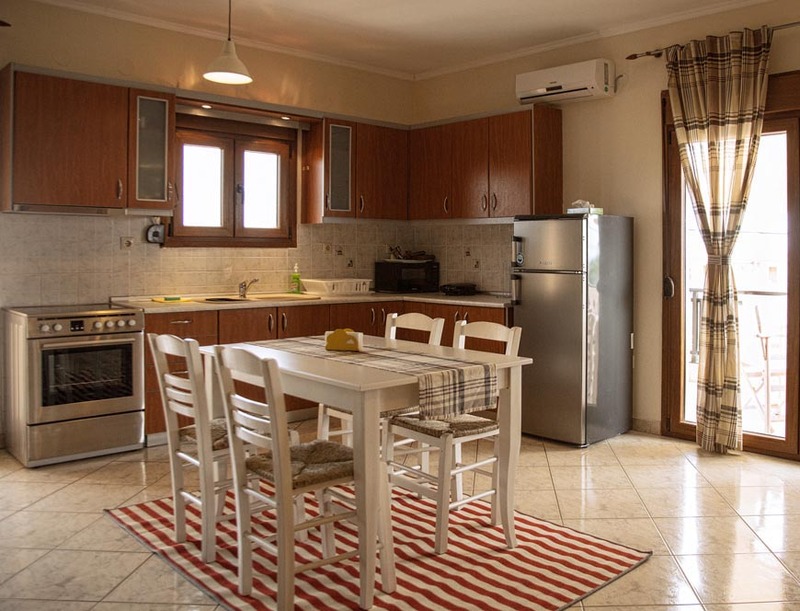 The apartment is located just next to the beach, 50 meters from the sea shore, next to the coastal street behind Arsanas Restaurant. 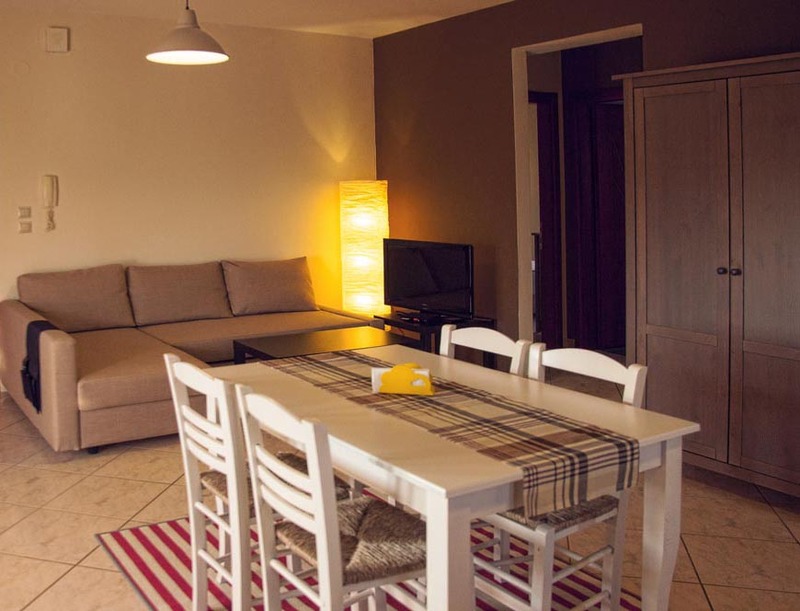 Zois Apartment is second floor – part of a gated complex and is fully furnished for your summer vacation. Beautiful balconies where you can drink your morning coffee away from the noise, or cook dinner with friends. At your disposal is the living room and kitchen. The living room is equipped with 32 inches TV, air conditioning, small sofa for 2 persons, dining table, refrigerator, bathroom and toilet. It also has a kitchen and all cooking utensils, coffee maker, kettle, oven, extractor and washing machine. Immediately to the living room are two bedrooms. One of the bedrooms has a double bed, a wardrobe, air conditioning, bedside tables and access to a terrace. The other bedroom has two single beds, wardrobe, air conditioning with access to one of the terraces. 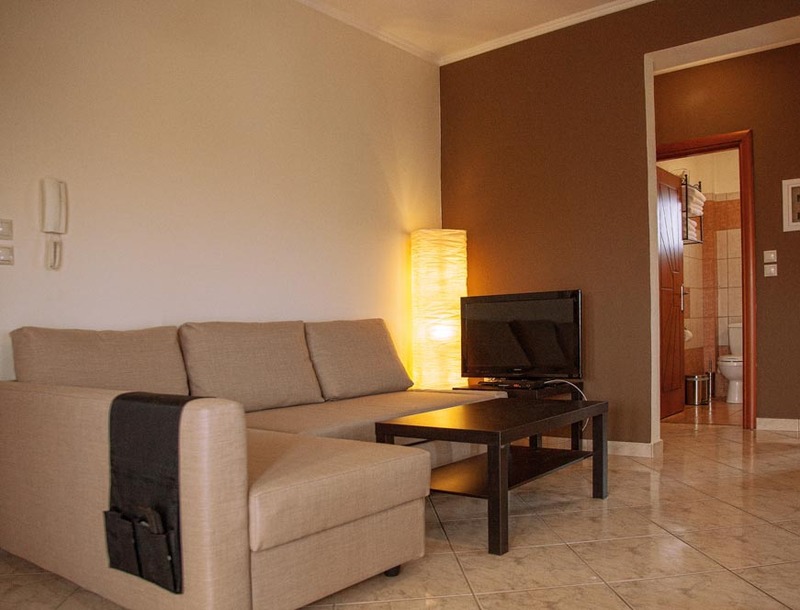 The apartment can accommodate up to 4 people. Suitable for your unforgettable summer vacation. Pets are allowed. Towels are changed every 4 days per person. The underwear is changed every 7 days. The apartment is fully cleaned by a cleaning lady every seven days. Check-in time after 15:00 and check-out is until 12:00.